Our compact Adventure Series poles are an attractive option for the active traveler – whether packing for a cruise, a mountain hike or a trek on the West Coast Trail. They collapse 20% shorter than our 2-section poles and come with both snow baskets and trekking baskets for snowshoeing and hiking. 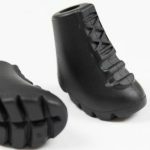 Burn up to 46% more calories than walking without poles, and easily strengthen your core with the help of our unique strapless ergonomic CoreGrip (patent pending) that engages your core muscles as you walk. Planning a trip? Tell us about your adventures and we would love to post your story on our blog. Just finished hiking the BruceTrail around Georgian Bay, Ontario. The rocks were like “ice” and thank goodness for the poles I kept myself from injury and saved my legs and hips! This time I went with the extra collapsible ones. If I could make one improvement over my first set, it would have been to make them shorter to pack easier. I found I would liked to have taken my poles on holidays, but they were too long. With these more compact ones, they can go just about anywhere. 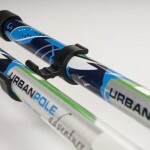 If you are thinking of getting a set of Urban Poles, go with the Adventure Series. 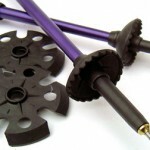 Like me you will get addicted to Nordic Walking and want to take your poles everywhere. I also lost 20 pounds since using the Urban Poles 2 months ago….YIPEEEEEE. I was 275 when I started and am now 253!! The poles have been very helpful so far in helping me make the most of my 25-minute “me time” between finishing work and picking up my daughter from school. The upper body involvement helps intensify my walk without adding stress to my arthritic feet. I like how the poles telescope to a size that I can strap to my backpack (I get around on public transit). Great product. 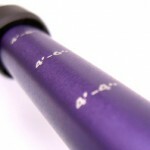 I absolutely love my Urban Poles! 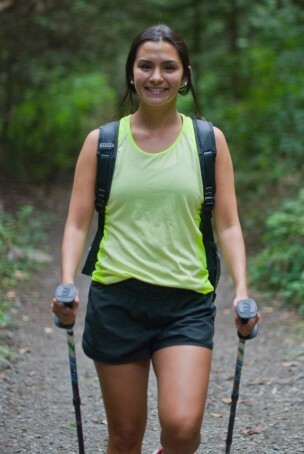 I have been using ‘regular poles’ for walking and hiking for the past 4 years and could not believe the difference with Urban Poling. I walk daily for 45 min. mostly along the Bow River and up a steep hill in Calgary… in rain and yes, snow. What I notice most is my posture, and the muscles in my arms and abs working hard. My purchase makes it possible to safely carry poles with me in luggage when I travel. I have noticed differences in lost inches in hips, better movement in hips and legs, more strength in ankles and legs and better tone in arms. I love “poling”. It also helps with balance. I walk very quickly and feel more confident all the time. My husband can’t keep up with me! We stand behind the products and service we provide. We guarantee that if any of our poles fail due to defects in workmanship or materials within two full years from the date of purchase, we will repair or replace all parts found defective without cost. 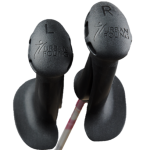 Damage caused by negligence or improper use of our poles, including but not limited to adjusting them with a tool such as wrench or pliers, will void the warranty.